This MKF Rosetta Hobo, originally $249, falls to $40 when you enter code BDSROSS15 during checkout at MKF Collection. Shipping is free. We couldn't find this deal anywhere else, but similar ones start at $46. Sales tax is charged in most states. This MKF MyeshaSatchel, originally $249, falls to $39 when you enter code BDSMYES12 during checkout at MKF Collection. Shipping is free. This is the best price we found by $8. Sales tax is charged in most states. 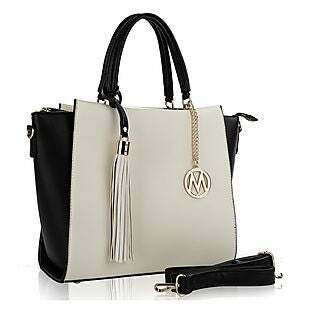 This MKF Collection Soft Vegan Leather Emily Handbag drops from $259 to $36 when you enter code BDSEMIL12 at checkout at MKF Collection. Plus it ships free. 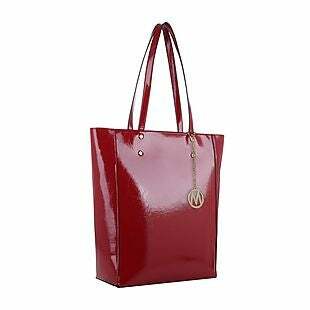 This bag is available in a variety of colors, and it measures 14"L x 10.5"H x 4"D. Sales tax is charged in most states. 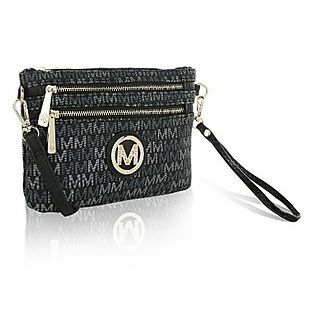 This MKF Crossbody, originally $169, falls to $20 when you enter code BDSSHAL12 during checkout at MKF Collection. Shipping is free. This is the best price we found by $7. Sales tax is charged in most states. 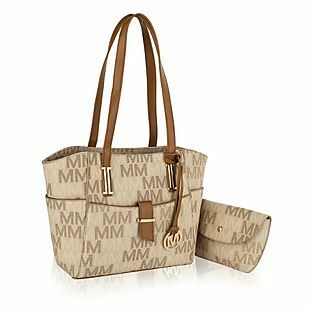 This MKF Tote & Wristlet Set, originally $289, falls to $40 when you enter code BDSWADHE14 during checkout at MKF Collection. Shipping is free. We couldn't find this deal anywhere else, but similar sets start at $50. Sales tax is charged in most states. This MKF Elise Crossbody, originally $139, falls to $28 when you enter code BDSELIS14 during checkout at MKF Collection. Shipping is free. This is the best price we found by $3. Sales tax is charged in most states. This MKF Abeille Tote, originally $229, falls to $35 when you enter code BDSABEIL16 during checkout at MKF Collection. Shipping is free. This is the best price we found by $5. Sales tax is charged in most states. 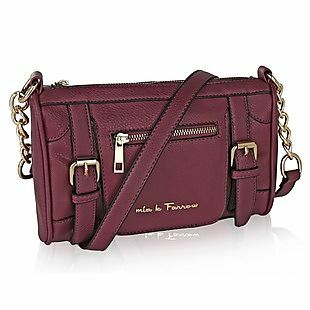 This MKF Romana & Cossetta Cellphone Crossbody Wallet drops from $139 to $19.99 when you enter code BDSROC07 during checkout at MKF Collection, and it ships free. This is the best price we found by at least $1. 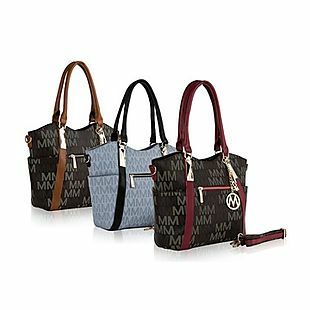 It has a wristlet handle and features 12 card slots and two full bill compartments. 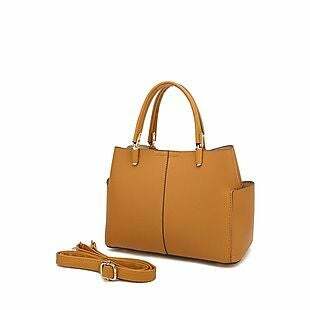 Its removable shoulder strap extends to 50". Sales tax is charged in most states. 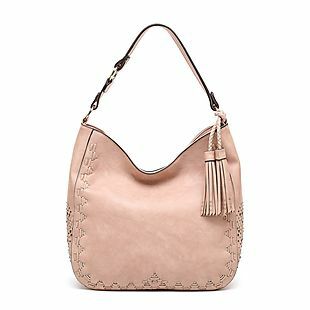 This MKF Darla Hobo, originally $269, falls to $38.99 when you enter code BDSDARL04 during checkout at MKF Collection. Shipping is free. This is the best price we found by $6. 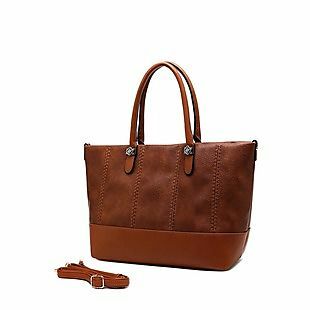 This faux-leather bag is available in multiple colors. Sales tax is charged in most states. This MKF Satchel, originally $269, falls to $39 when you enter code BDSFAVS24 during checkout at MKF Collection. Shipping is free. This is the best price we found by $5. This faux-leather bag comes in a variety of colors and styles. Sales tax is charged in most states. This Three-Piece Kent Tote & Crossbody Set, originally $289, falls to $39.99 when you enter code BDSKN3PC during checkout at MKF Collection. Shipping is free. We couldn't find this deal anywhere else, but similar three-piece sets usually start at $47. 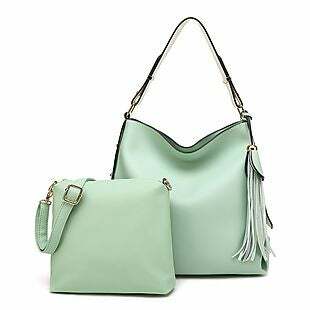 This set includes two faux-leather totes in a variety of colors and a black phone crossbody. Sales tax is charged in most states. 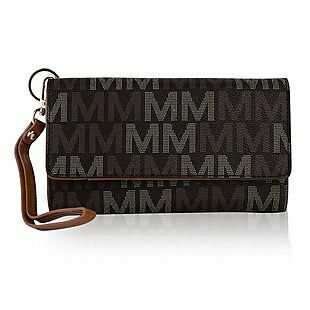 MKF Leather Wallet Wristlets from MKF Collection drops from $149 to $15 when you enter the code BDSLEATH27 at checkout. Other retailers sell these for $20 or more. Plus shipping is free when you choose free shipping at checkout. There are 33 styles and colors to choose from. Sales tax is charged in most states. 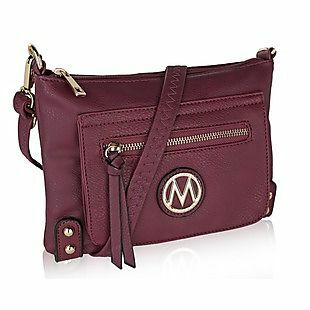 This MKF Wristlet Crossbody from MKF Collection drops from $149 to $18.79 when you enter the code BRADS130 at checkout. Other retailers sell this for $25 or more. Plus shipping is free. The lined bag has three exterior pockets, an 8" wristlet strap, and a removable shoulder strap. It measures 8.5" wide x 6" high x 1.5" deep and comes in 32 colors. Sales tax is charged in most states. 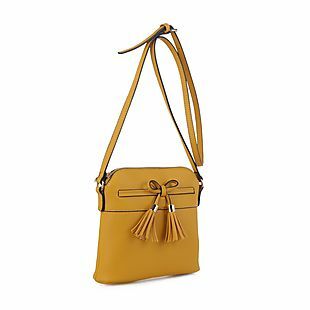 This Rudy Crossbody from MKF Collection drops to $19 when you enter the code BDSRUDY17 at checkout. Other retailers sell this for $25-$48. Plus shipping is free when you choose free shipping at checkout. The faux-leather bag measures 9" wide x 7" high and comes in 13 colors. It also has an adjustable shoulder strap. Sales tax is charged in most states. This MKF Liz Satchel, originally $199, falls to $35 when you enter code BDSLIZ25 during checkout at MKF Collection. Shipping is free. This is the best price we found by $9. 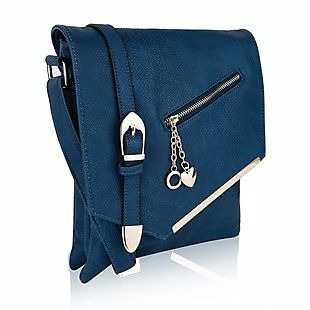 This faux-leather bag has a removable shoulder strap and comes in multiple colors. Sales tax is charged in most states. 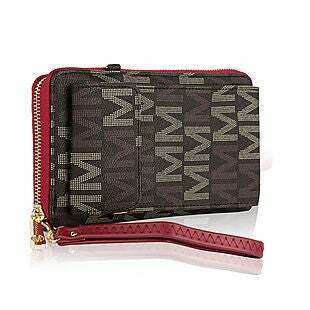 This MKF Crossbody from MKF Collection drops to $18.99 when you enter the code BDSMELA08 at checkout. Other retailers sell this for $20-$30. Plus shipping is free when you choose free shipping at checkout. 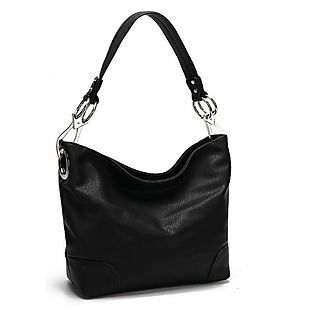 The faux-leather bag has two exterior zip pockets and an adjustable shoulder strap. Choose from two styles and 23 colors. Sales tax is charged in most states. 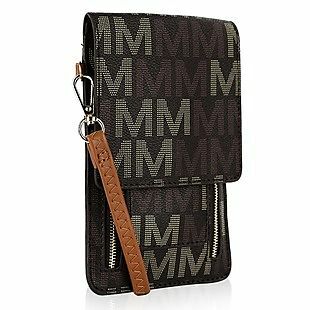 This MKF Gail Phone Wallet from MKF Collection drops from $99 to $19.99 when you enter the code BDSGAIL03 at checkout. Other retailers sell this for $25 shipped. Plus shipping is free. 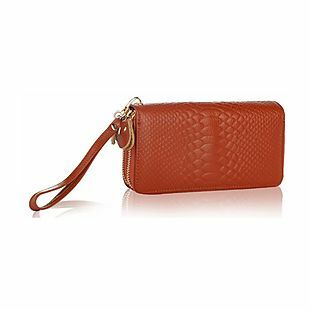 The faux-leather wallet has an 8" wristlet strap and measures 8" wide x 4.5" high. Choose from five colors. 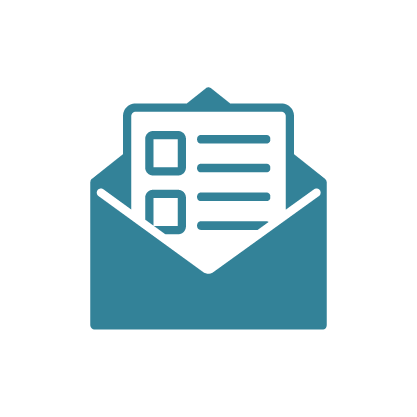 Sales tax is charged in most states. This MKF Ciaran Lightweight Tote from MKF Collection drops to $39 when you enter the code BDSCIAR05 at checkout. Other retailers sell this for $45-$55. Plus shipping is free. The faux-leather bag has a top zip closure and measures 17" long x 11.3" high x 5.8" deep. Choose from six colors. Sales tax is charged in most states. 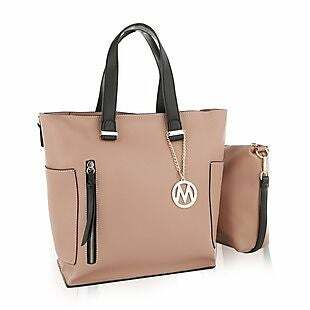 This MKF Jeneece Tote from MKF Collection drops to $39.99 when you enter our exclusive code BDSJENN17 at checkout. Other retailers sell this for $42-$47 shipped. Plus shipping is free when you choose free shipping at checkout. The faux-leather bag has gold-tone hardware, a removable keychain, and seven pockets. It comes in six colors and measures 15" long x 11" high x 5" deep. Sales tax is charged in most states. 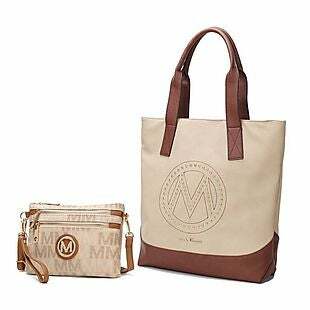 This MKF Astin Tote & Wristlet from MFK Collection drops to $39.99 when you enter the code BDSAST07 at checkout. Other retailers sell this for $45-$47. Plus shipping is free when you choose free shipping at checkout. The faux-leather bag measures 16" long x 10" high x 4" deep. The wallet features a 6" strap. Choose from six colors. Sales tax is charged in most states. 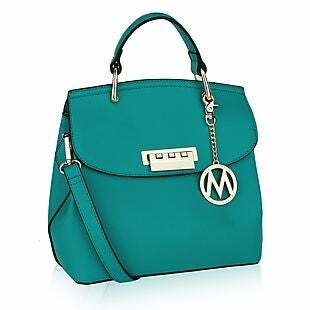 This MKF Carissa Satchel from MKF Collection drops to $39 when you enter the code BDSCAR08 at checkout. Other retailers sell this for $46. Plus shipping is free when you choose free shipping at checkout. The faux-leather bag has a snap and zip closure and measures 10.75" long x 8.5" high x 5" deep. Choose from six colors. Sales tax is charged in most states. 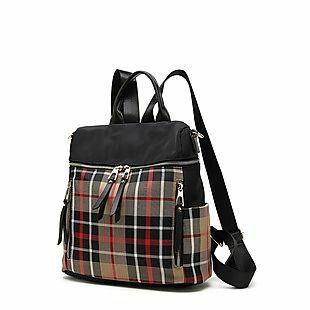 This Amazing Mom Multipocket Diaper Backpack drops from $119 to $30.99 when you enter code BDSBABY07 at checkout at MKF Collection. Plus it ships free. This is the best price we found by at least $11. It has a thermal pocket and a matching changing mat. Choose from seven colors. Sales tax is charged in most states. 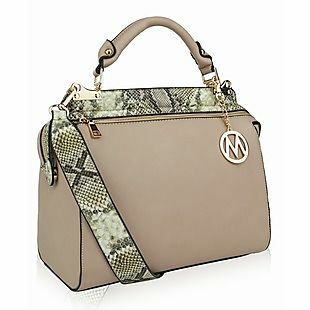 This MKF Valentina Satchel from MKF Collection drops from $249 to $39 when you enter the code BDSVAL27 at checkout. Other retailers sell this for at least $43. Plus shipping is free when you choose free shipping at checkout. The faux-leather bag has a removable keychain, a removable shoulder strap, and a zip closure. It measures 13" long x 10" high x 7" deep and comes in five colors. Sales tax is charged in most states. 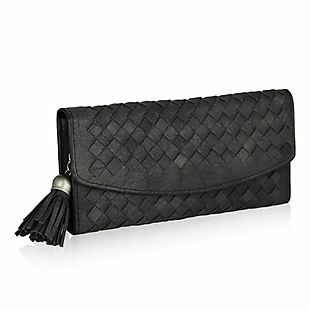 This MKF Connie Woven Wallet from MKF Collection drops from $99.99 to $12.79 when you enter the code BDSCON05 at checkout. Other retailers sell this for $18-$49. This also beats our last mention by $3. Plus shipping is free when you choose free shipping at checkout. The faux-leather wallet has nine card slots, three bill compartments, and a full-length zipper pocket. It measures 7.5" long x 4" high and comes in six colors. Sales tax is charged in most states. 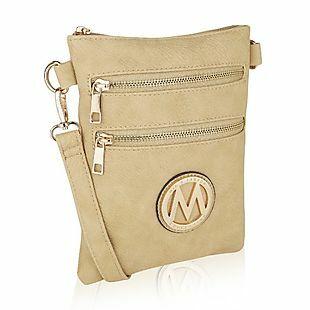 This MKF Phone Crossbody from MKF Collection drops from $149 to $16 when you enter the code BDSPHON20 at checkout. Other retailers sell this for $25 or more. Plus shipping is free when you choose free shipping at checkout. The faux-leather bag has four card slots and three pockets. 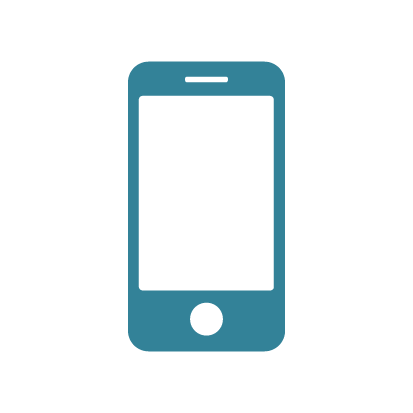 It measures 4.7" long x 7.8" high and comes in 10 colors. Sales tax is charged in most states. This Jasmine Crossbody from MKF Collection drops from $169 to $29 when you enter our exclusive code BDSJASM03 at checkout. Other retailers sell this for $30-$75. Plus shipping is free when you choose free shipping at checkout. The faux-leather bag has an adjustable shoulder strap, measures 9.5" wide x 11" high, and comes in 21 colors. Sales tax is charged in most states. This MKF Tanana Tote & Pouch from MKF Collection drops to $39 when you enter the code BDSTANA17 at checkout. Other retailers sell this for more than $50. Plus shipping is free when you choose free shipping at checkout. The faux-leather purse measures 16" wide x 12" high x 6" deep and comes in six colors. It comes with a 13" matching pouch. Sales tax is charged in most states. This MKF Helena Crossbody from MKF Collection drops to $25 when you enter the code BDSHELE15 at checkout. Other retailers sell this for $30-$36 shipped. Plus shipping is free when you choose free shipping at checkout. The faux-leather bag has a pebble texture and measures 9.5" long x 6.8" high. Choose from 14 colors. Sales tax is charged in most states. This MKF Nishi Backpack from MKF Collection drops to $38 when you enter the code BDSNISH25 at checkout. Other retailers sell this for $42-$49. Plus shipping is free when you choose free shipping at checkout. 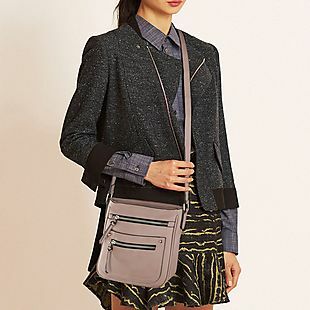 The lined bag has removable shoulder straps and can be worn as a crossbody. It measures 11.5" long x 11.5" high x 5" deep and comes in four colors. Sales tax is charged in most states. 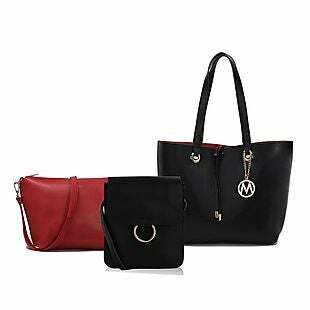 This 3pc MKF Eden Tote Set from MKF Collection drops to $39.99 when you enter the code BDSEDN3P18 at checkout. Other retailers sell this for $48 or more. Plus shipping is free. The faux-leather set comes with a 15" tote, a wristlet wallet, and a zip pouch. Choose from six colors. Sales tax is charged in most states.